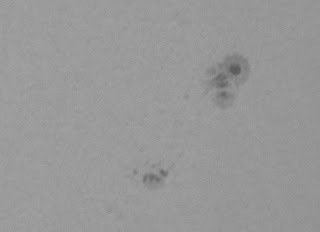 Took these Solar images late this afternoon. 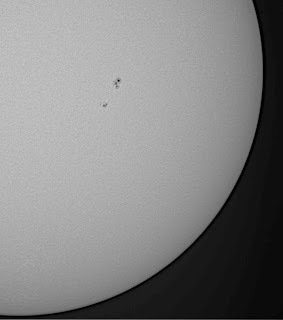 They were all taken through a Skywatcher 80mm refractor, with a baader filter and a DMK31 camera. 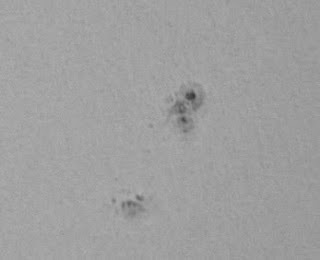 The first image was at prime focus, then a 2.5x barlow and lastly a 3x barlow.